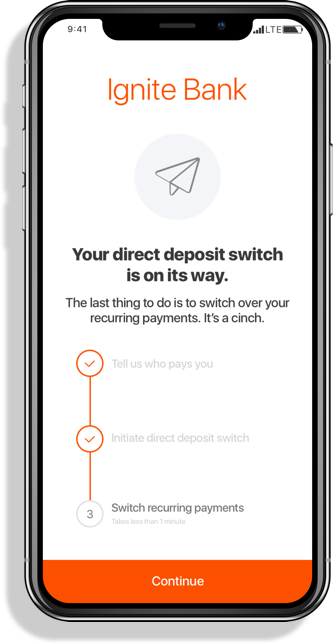 Convert your account holders into fully engaged customers by leveraging ClickSWITCH to help them move their direct deposit and recurring payments. If you want to be the primary financial institution for your account holders then you need to receive their direct deposits and get them to initiate payments from their new account. ClickSWITCH makes this simple. We support changing direct deposit for employers ranging from the largest traditional employers to the small mom and pop shops down the street, and everything in between. Get the right tool to solve your deposit problem. ClickSWITCH makes it easy to improve engagement from your account holders and drive more deposit growth for your financial institution. Our out of the box solution is easy to integrate and enables you to get your customers’ account switched over quickly. 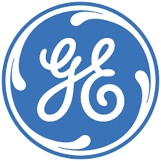 Looking to build the next big thing in Financial Services? Then you’ll likely need to capture the direct deposits and recurring payments of your customers. The ClickSWITCH API lets you do this at your pace and within your user experience. Want to build your own front end? 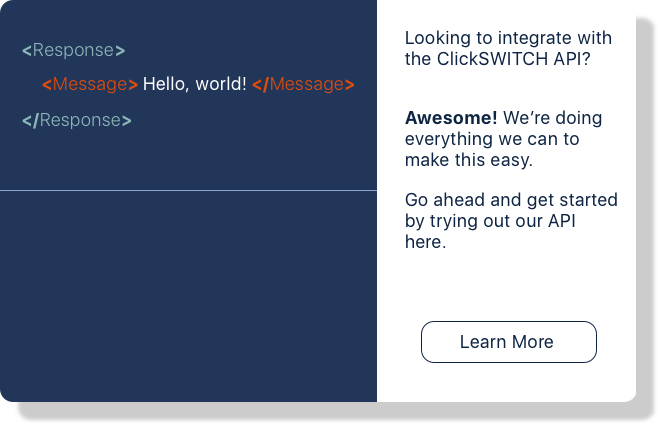 The ClickSWITCH API comes ready for you to create your own account switching experience.